Designing a public dinner was a workshop for students at University College for Art and Design Sint Lukas Brussels. 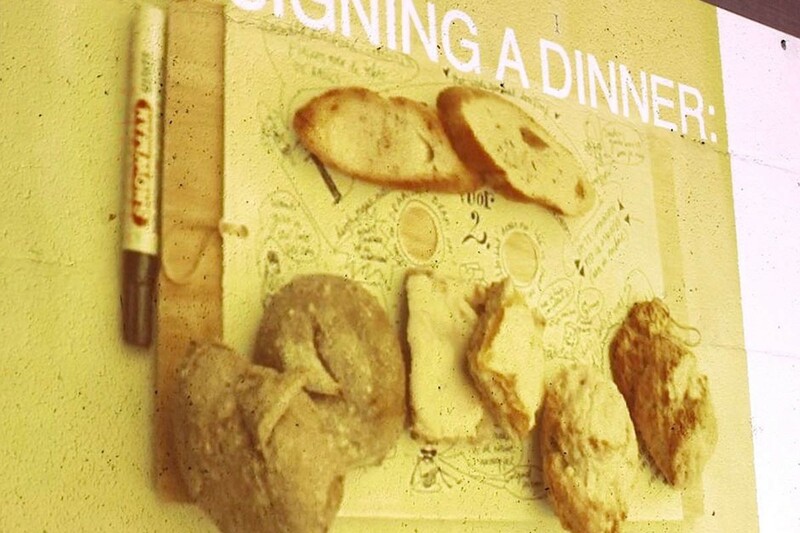 At the workshop we questioned how to design a dinner to make people conscious about what they eat in a positive way? Normally society introduce rules in order to look after the well-being of people. We are used to bureaucracy as a way to regulate a good way of living. We believe that design can propose attractive alternatives to help people discovering and enjoying the good life. In this case, taking the theme ‘food’, we will design a dinner which through different interactions will help people to experience the concept of ‘eating’ in a way which will inspire them. The designer here takes a role of an Inspirer. He does not judge, but rather create options for the guest to digest, and then decide. See photos from the workshop.